Sardines were the chicken of the sea of the 1930s, but when the population crashed in the late 1940s, the industry crashed, too, and the tiny fishes disappeared from supermarket shelves. That is, until recently. Even though they are starting to make a comeback, tuna stepped into the sardine-shaped hole on store shelves while the sardine was taking a break. So now when you take a peek into someone’s kitchen cupboard, if you find canned fish, it’ll almost certainly be tuna. 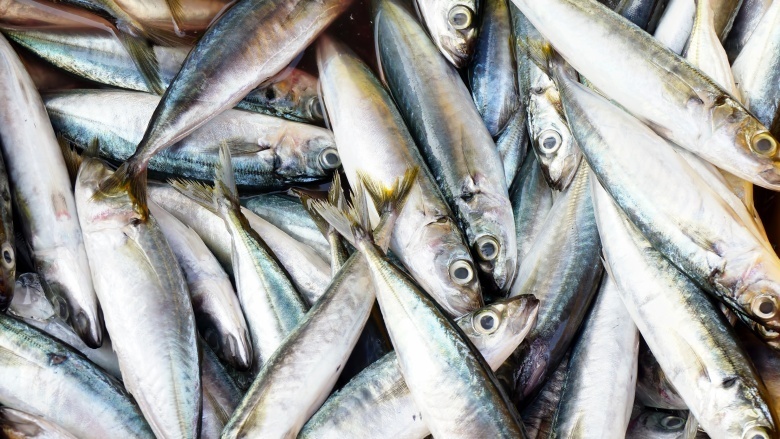 This is a bummer for sardines because they have many of the same nutritional advantages of tuna, but sardines are richer in omega-3 fatty acids. They also contain high concentrations of vitamin B-12, selenium, calcium, and vitamin D. As an additional benefit, because they are a small fish that eat mostly plankton, they don’t accumulate the same levels of heavy metals and other contaminants that larger fish such as tuna do. So if you can get past their tiny eyes looking at you when you open a can, sardines offer significant advantages over the everyday tuna you’re used to. Sardines are full of flavor and can be added to many dishes. But to start, try this recipe for a simple, sardine-based pasta sauce. Heat some of the oil from a can of sardines and add a generous helping of garlic and chili. After a couple of minutes, add some tomato puree. When that is warmed through, add the sardines from the can. Once heated, mix into a pan of cooked spaghetti then serve seasoned with pepper, lemon juice, and basil. A deliciously fishy twist on a classic recipe.